The ICAA is pleased to partner with Classical Excursions to present this tour of Savannah, Georgia, during which participants will tour some of the finest homes, gardens, and sites within this beautiful city, with thanks to the Historic Savannah Foundation and the Savannah Historic District. Throughout the course of the program, experts and specialists will be present to speak on the subject of Savannah's architecture and decorative arts. 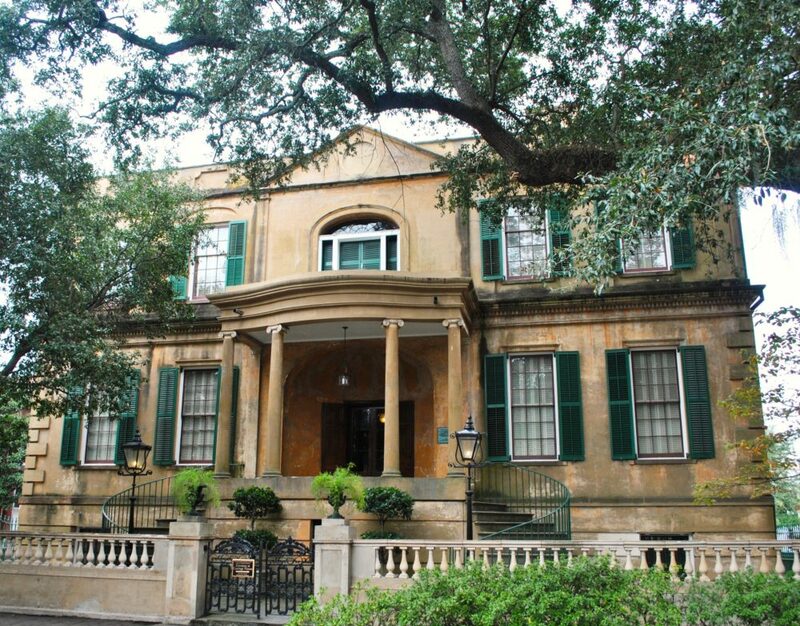 Participants will visit one of Savannah's most impressive Regency residences, the Owens-Thomas House, which was designed by British-trained architect William Jay and built between 1816 - 1819. The House features a columned foyer leading to a brass-inlaid staircase, and a drawing room with a trompe-l'œil ceiling which gives the effect of a dome. The tour features a visit to the Isaiah Davenport House, built in 1821. The House is built in a red-brick Federal design, with finely crafted interiors throughout. 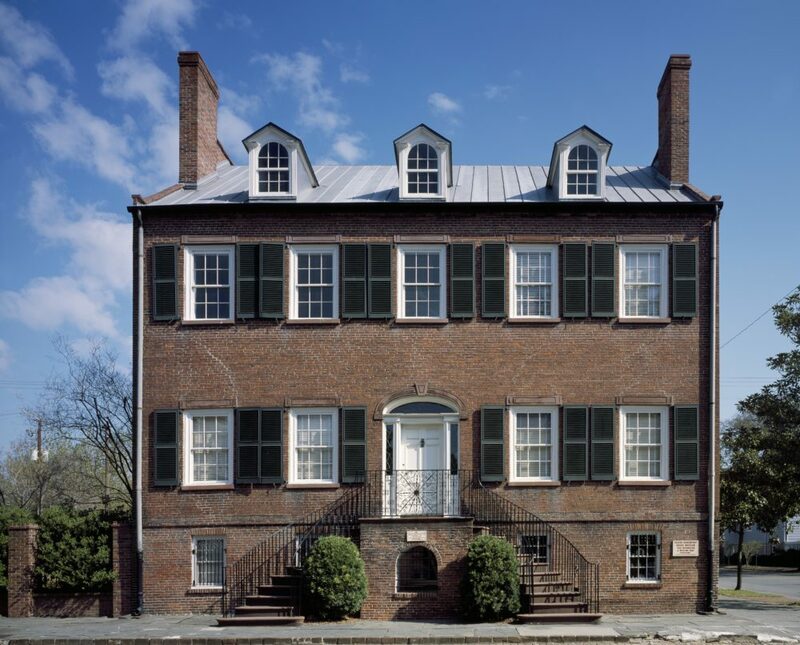 The Historic Savannah Foundation was founded the same year the Isiah Davenport House was threatened with demolition, ultimately saving this important local landmark in 1955. Built between 1841 and 1845, the Harper Fowlkes House is designed in the Greek Revival style, featuring double curved stairs and a portico of four columns. The interiors of the House are lavishly embellished with classical details. 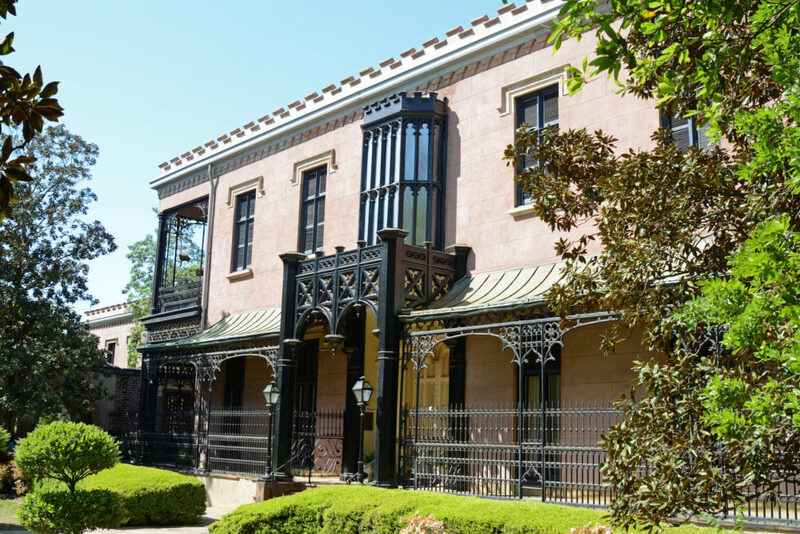 During the tour, the group will visit the Mercer Williams House, one of Savannah's most celebrated mansions and the site of inspiration for the book and subsequent movie, Midnight in the Garden of Good and Evil. The Mercer Williams House is one of three houses in the city designed by John S. Norris, a prominent mid-19th Century architect. The house is an example of the Italianate style, featuring large Florentine-style windows and a cast-iron Corinthian portico. Featured on the tour is a visit to one of the city's best-preserved houses, the Andrew Low House, which features an original formal garden. The house combines Grecian details with elements of the Italian villa style, embellished with intricate ironwork. The spacious rooms are decorated with period antiques, elaborate plaster cornices, and carved woodwork. Participants will enjoy a visit to an 1859 mansion owned and restored by members of a renowned real estate dynasty, featuring contemporary interiors and beautifully-preserved rooms. Included on the tour is a visit to a historic home decorated by prominent Atlanta interior designer Suzanne Kasler, interpreting a traditional style with a contemporary flair. Featured is a tour of a private restored townhouse which includes its original 19th Century facade, designed by Savannah architect Christian Sottile. Participants will enjoy a special private visit to the magnificent, newly-restored Beaux-Arts style Armstrong Kessler Mansion. 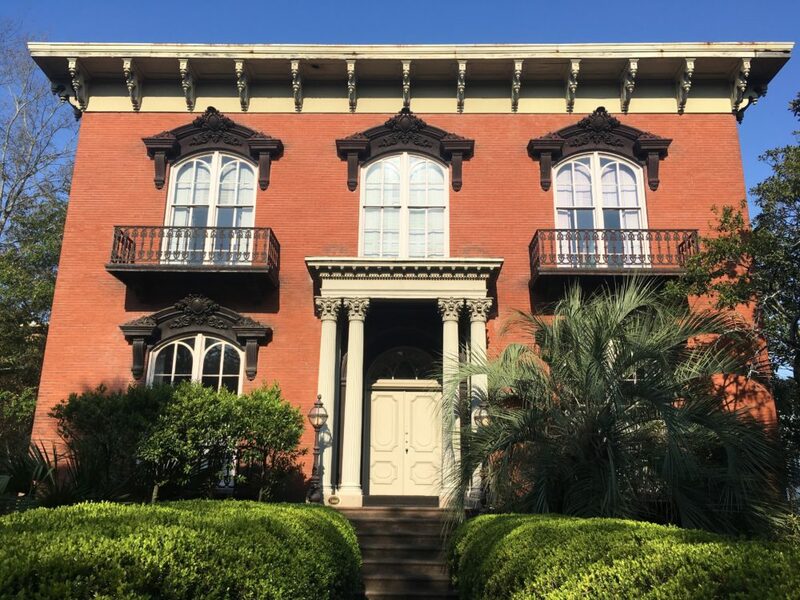 Included is a private trolley tour with Daniel Carey, President and CEO of the Historic Savannah Foundation, one of the nation's earliest and foremost organizations in the field of historic preservation. The tour will focus on examples of the Foundation's work in the city. The program includes a private walking tour of Savannah's historic district with Jonathan Stalcup, owner of Architectural Tours of Savannah. A three-night stay at the five-star Mansion on Forsyth Park in the historic center of Savannah. A private motor coach for all sightseeing, visits, transfers, and drivers as outlined in the itinerary. Three breakfasts, two lunches, and two dinners. 1. Develop a deeper understanding of the history of Savannah's architecture and urban landscape, including the architectural principles employed by architects who designed structures within the city. 2. Gain an understanding of historical preservation practices currently being put into use in Savannah in order to retain the historical architectural integrity of the city. 3. Develop an understanding of the classical architectural principles that are evident in the homes and buildings of Savannah. 4. Gain greater knowledge of the architects who shaped the architectural landscape of Savannah, including John S. Norris and William Jay. Provider Statement: The Institute of Classical Architecture & Art is a registered provider of AIA-approved continuing education under Provider Number G193. All registered AIA CES Providers must comply with the AIA Standards for Continuing Education Programs. Any questions or concerns about this provider or this learning program may be sent to AIA CES ([email protected] or (800) AIA 3837, Option 3). This learning program is registered with AIA CES for continuing professional education. As such, it does not include content that may be deemed or construed to be an approval or endorsement by the AIA of any material of construction or any method or manner of handling, using, distributing, or dealing in any material or product. AIA continuing education credit has been reviewed and approved by AIA CES. Learners must complete the entire learning program to receive continuing education credit. AIA continuing education Learning Units earned upon completion of this course will be reported to AIA CES for AIA members. Certificates of Completion for both AIA members and non-AIA members are available upon request.